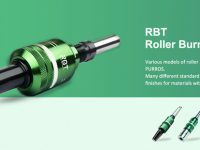 What should be noted before roller burnishing tools? Roller burnishing tools of different models should be analyzed first. Is this part suitable for roller burnishing tool? What is the workpiece material to be rolled and how hard is it? How thick is the wall of the part that needs to be rolled? Can it bear rolling? Is the part that needs to be rolled on the inside hole or the outside hole? Is the part that needs to be rolled is blind hole or through hole? These problems need to be determined before the corresponding roller burnishing tool can be selected. If you don’t know how to choose the model, please contact us to help you. 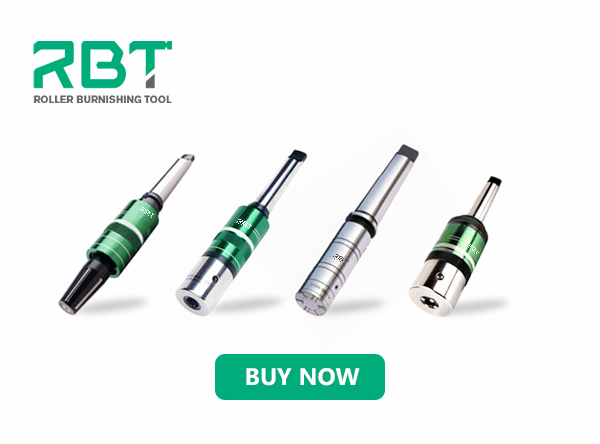 How to select and use roller burnishing tool? Usage: the standard type of the roller tool includes the clamping part of morse taper shank and straight shank. The rolling process is different from the cutting process, which does not require large torque. It can also be used in small power machine tools. The roller burnishing tool can be installed on drilling machine, lathe, hexagon lathe, boring machine, drilling machine and other equipment for processing without special equipment. When the ball is rolled, the ball can rotate freely, that is, in the direction of main motion and feed direction, it can roll without sliding. Therefore, the surface quality of processed parts is good. The ball rolling pressure can usually obtain a very low surface roughness (Ra0.2μm～0.10μm). Under the condition that the other process parameters are matched, the surface quality of the rolled part can also reach Ra0.05. 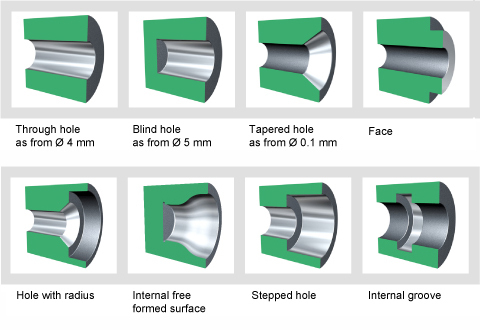 At the same time, due to the ball and the surface of the workpiece interface is relatively small, therefore, under the condition of the same unit pressure can decrease the total pressure, especially suitable for the outer surface of the small slender precision parts and thin wall parts of inner hole roller. The ball burnishing tool is simple in structure and light in weight. When the ball is worn, the low price standard ball can be adopted to reduce the cost to a certain extent. The disadvantage is that the service life of ball burnishing tool is too low, and the ball usually needs to be replaced after 10h ~ 12h continuous use. Like a ball burnishing, shaft burnishing not only get a better surface roughness, and overcomes the drawback low life of ball burnishing, also can be used in a large feed, rolling usually use 0.75mm/r-0.80mm/r, so the production efficiency is high. The structure is basically the same as that of the tool with replaceable alloy blade, and the operation is the same as that of the tool. Diamond tool head is used in turning tool rolling, which is suitable for high hardness. In using the roller burnishing tool, we know that it is very important to know the selection, adjustment and model of the roller burnishing tool. The rotation of the roll head and the driving force of the product are all necessary to improve the smoothness of the product. Of course, in addition to these, the conditions of the roller burnishing tool are particularly important, such as the adjustment range of theroller burnishing tool, the size of the workpiece being rolled, the hardness of the metal material and the roll pressure allowance.